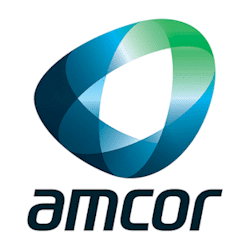 Amcor, a multinational company based in Australia, it is a global leader in packag-ing solutions and has 200 facilities in 43 countries. The factory located in Oporto chose the maintenance software ManWinWin to support the organization and management of its maintenance. ManWinWin Software was the company chosen by Amcor Flexibles to implement the maintenance management software in its factory located in Vila Nova de Gaia, Oporto. The implementation of the maintenance management software ManWinWin will have immediate impact on the management of preventive maintenance, management of maintenance requests, warehouse management, in getting maintenance indicators and it also enables the company to meet the certification requirements in the maintenance area. The new project at Amcor Flexibles enlarges the list of ManWinWin Software customers in business sectors that are related to the transformation of plastic or cardboard and pack-aging, which already include companies such as Firmo, KLC, Microplásticos, Petibol, Saica Pack, Viana Plásticos, Vrancart ou Zarrinha.